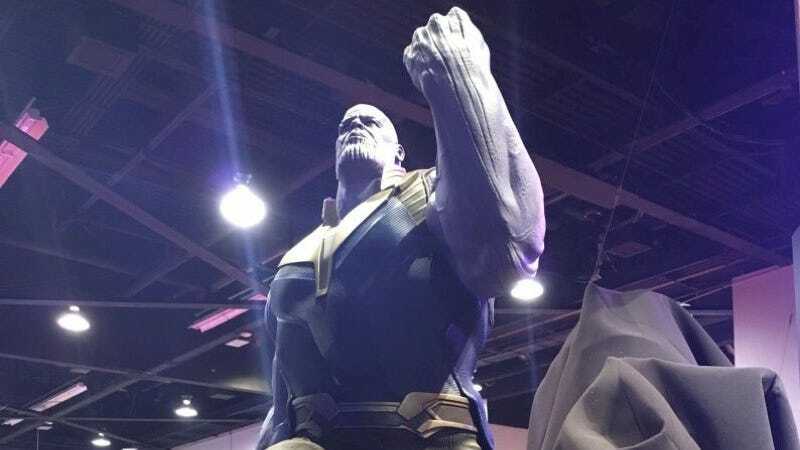 Soon after showing an incredible Avengers: Infinity War clip, Marvel unveiled who was lurking under those black sheets next to Thanos at their booth on the floor at the D23 Expo: it’s the Black Order. But first, as an added bonus, the Infinity Gauntlet itself also made an appearance. Who on Earth (or Anywhere Else) Could Be Thanos&apos; Henchman in Avengers: Infinity War?